NASCAR Playoffs new Augmented Reality Experience Refreshed by Coca-Cola is fully loaded and ready for fans to immerse themselves in race action like never before. 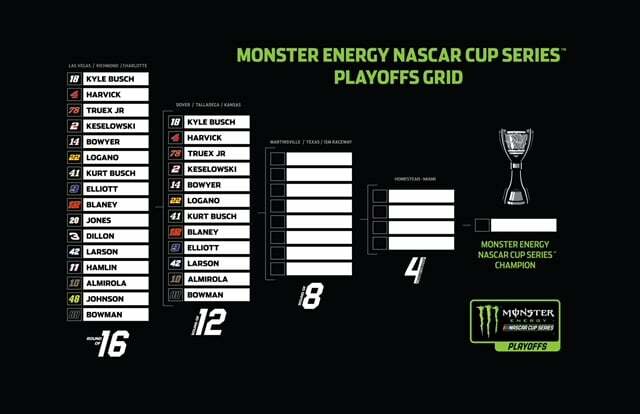 The 2018 Monster Energy NASCAR Series Playoffs released the AR technology within their NASCAR Mobile app. The Sports Techie community blog visited Daytona Beach earlier this Spring, the home of the iconic Daytona 500 race giving me a better sense of the world’s best stock car auto racing sport and it is truly a big deal for fans, racing teams and sponsors. AR tech is taking the sporting world by storm and NASCAR is using it to deliver a unique, virtual fan experience presented by Coke aimed to refresh track experiences throughout the 10 weeks of playoffs. NASCAR Fans Walk into the Playoffs with 360-Degree View in New AR Experience Refreshed by Coca-Cola. First, users need to have an AR-enabled iOS or Android device to access NASCAR Playoffs action through the NASCAR Mobile app. Download the newest version of the NASCAR Mobile app today at the App Store and Google Play. Next, place a 3D Coca-Cola can somewhere in your environment on a flat surface to establish a superimposed portal. Move your device around to scan the area by moving it slowly, right to left. Once the plane is established, tap the screen to place the portal. It is better to put the portal as far away as possible in the detected area. Finally, walk through the portal as weird as that seems because once inside, fans now have the special opportunity to be a part of the best playoff moments as if you are there live. Immerse yourself in the thrill of Victory Lane for the winning driver, watch pit stops and crews in action, and get excited to see burn-outs by the champ. The 360-degree clips will be refreshed weekly after each NASCAR Playoffs race. This all culminates at the 2018 Monster Energy NASCAR Cup Series Championship™ raced at Homestead-Miami Speedway this November. The NASCAR Digtal team also placed a 360 camera inside Ryan Blaney’s No. 12 Ford Fusion car driven for Team Penske this past Sunday at Charlotte Motor Speedway. Watch video of Blaney driving the final few laps at Charlotte Roval with a purpose, eventually enabling him to pounce on Jimmie Johnson’s spin to earn his first big 2018 win. Sports Techie, the new Augmented Reality Experience for 2018 NASCAR Playoffs is another sports tech asset in the ever expanding NASCAR Digital portfolio. If you have not seen AR in action, look no further than the NASCAR Augmented Reality Experience. Ten weeks later, you should be begging for more.